Like those who believe in the power of someone’s intercession, this family was attracted by the charm of Karel Albert Rudolf Bosscha, a Dutch man who became the director of the plantation in 1896. They came far from Jakarta to his tomb to look for miracle cures. 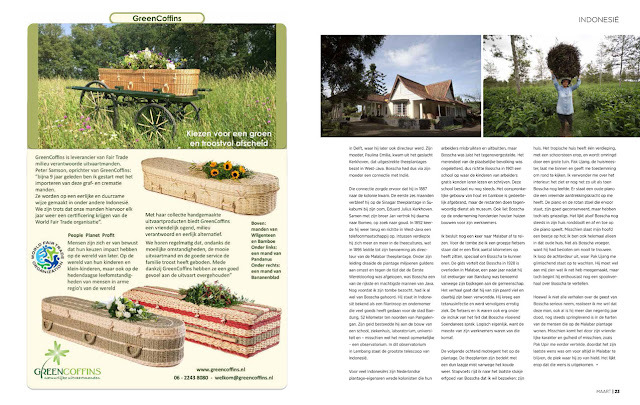 “People come to this tomb for different purposes,” said Pak Upir, short for Uus Supriyatna, the caretaker. 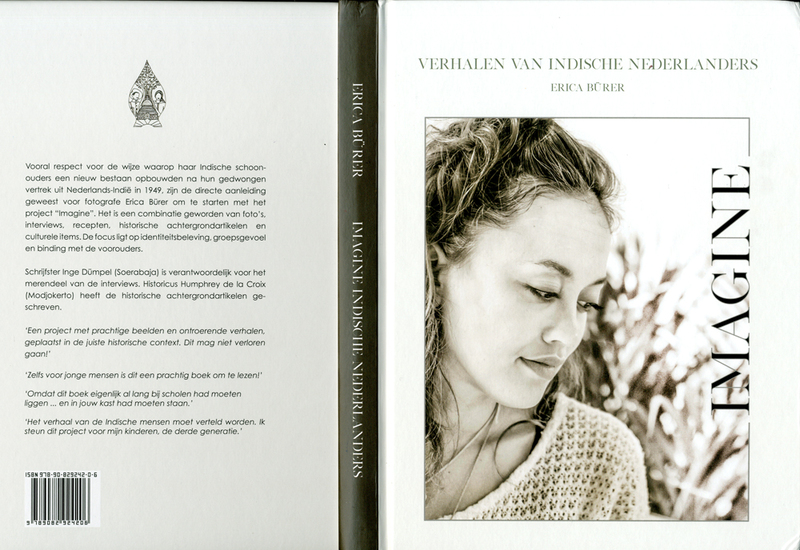 “Meneer Bosscha, for them, is an intercessor who can delivers their prayers to the almighty. They come to ask for health, wealth, or romance,” he added. I didn’t really buy his ghost story, yet, I wanted to know how the plantation looked like from the top of Gunung Nini. So I walked up to the hill, through the vast tea plantation, and breathed in the cold mountain air. As I reached the gazebo, I looked down and see the whole area of Malabar tea plantation. The view was absolutely spectacular. As far as I could see, everything was green and the tea plants looked like a huge carpet with the path lines as the pattern. There, I met Pak Endang, a worker who took care of the gazebo. We were engaged in a conversation about, again, the ghost of Bosscha. He said that he had seen the sightings of the ghost riding a horse to the top of the hill. “He didn’t smile nor look back at me. He just went straight from below to here,” he said. Normally, I would be terrified and got goose bumps to hear a ghost story. But this one made me curious and want to hear even more about Bosscha. Back at home in Jakarta, I made a small research and found that Bosscha was born in The Hague in 1865 from a well respected family. His father, Johannes Bosscha, Jr was a physicist and professor at the military academy in Breda before becoming a director of the polytechnic school in Delft. His mother, Paulina Emilia, came from the family of Kerkhoven who was known for their tea empire with vast plantations spreading across West Java. To this point, I could see that through his mother, Bosscha was connected with the Indies. 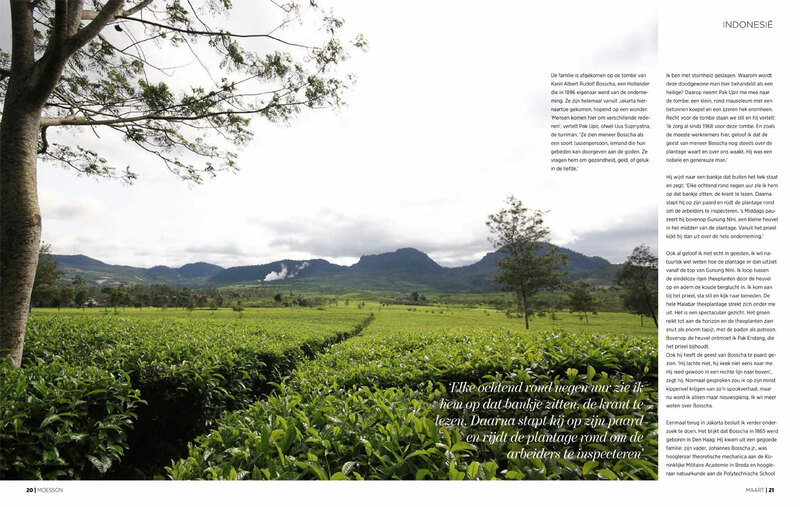 That connection would later bring him to the colony in 1887 where he stayed with his uncle, Eduard Julius Kerkhoven, for the first six months in Sinagar Tea Plantation, Sukabumi, before following his geologist brother, Jan Bosscha, on a gold expedition in Borneo until 1892. He then returned to his uncle to establish and run a telephone company in West Java while learning about how to cultivate tea. The highlight of his life occurred in 1896 when he was appointed the director of Malabar Tea Plantation by his uncle. Steadily, under his administration, the plantation generated millions of guilders of profit. It was said that by the end of the First World War, he had become one of Java’s richest and most powerful man. 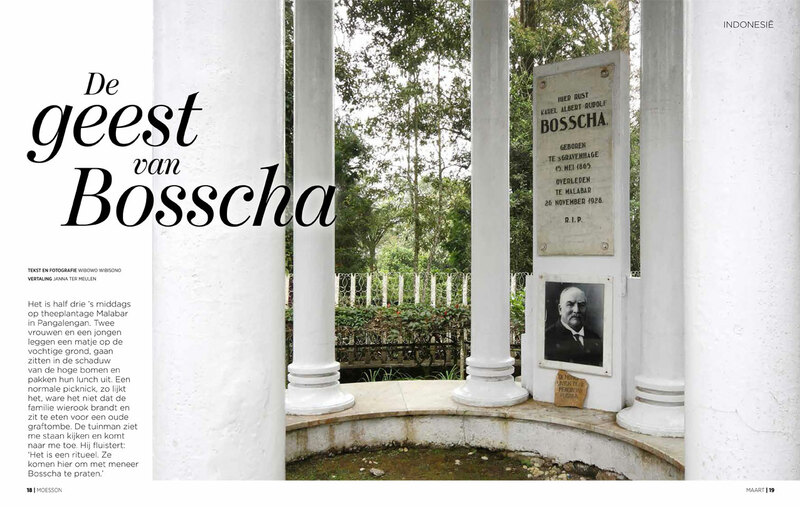 Long before I came to his tomb, I had known Bosscha as a philanthropist and Dutch entrepreneur who made large contribution to the city of Bandung, 52 kilometer north of Pangalengan. He donated his wealth to found school, hospital, science laboratory, university, and the most remarkable one, an observatory in Lembang which now becomes an observatory with the biggest astronomical telescope in Indonesia. Unlike what has been embedded in the thoughts of many Indonesian about Dutch planters, where they are often pictured as cruel colonists abusing and exploiting their labors, Bosscha was very generous toward his workers. In 1901, when the rate of illiteracy among the natives were high, he founded a free of charge school for the workers’ children to let them learn how to read and write. Amazingly, the school lasts until today and has been transformed into a state owned elementary school of Malabar. Its original building which is made of timber and woven bamboo has been partially burnt down, and the remain now functions as a museum. He also built hundreds of wooden houses for his workers within the plantation. Few weeks ago, on my re-visiting the plantation, I found myself in front of the tomb again, stood shoulder to shoulder with a group of history enthusiast cyclists having ridden miles away from Bandung in a tour to honor Bosscha. Standing in front of them, the leader told the group that shortly after being awarded as an honorary citizen of the city of Bandung for all his merits and contributions in a grand ceremony in1928, Bosscha passed away in Malabar. It was said that he became seriously ill after accidentally falling from his horse. The open wound on his leg was infected with tetanus. What was so interesting about Bosscha that awed me and the cyclists was that he could speak fluently in the local traditional language of Sundanese. That totally made sense, considering that nearly all his workers were of that ethnic group. In the following morning, it was drizzling in the plantation. Nearly all the tea plants were covered with thin mist due to the cold weather. I drove slowly to the last thing I need to see in order to trace the footstep of Bosscha before leaving the plantation for home, which was his house. It was a single storey tropical house surrounded with garden and built with chimney. I was allowed to enter the house and look around by Pak Ujang, the caretaker. I marveled at its interior as everything was neatly set the way it had been when Bosscha was still alive. I was mostly attracted with an old piano which, along with the rattan chair, was well preserved, but somehow gave me the feeling of creepy and loneliness. I felt like his soul was still there in that house playing the piano with his fingers. Maybe I exaggerated the situation as I was completely alone inside that old house, just like Bosscha in the past who decided not to get married for his entire life, however I decided to walk out through the back door. Outside the house, Pak Ujang smiled at me. He seemed to understand what just happened to me, and yet again, enthusiastically told another ghost story of Bosscha which, this time, took place at this old house. Despite my being rational and not seriously taking all the ghost stories of Bosscha, I realized that even though this man had passed away long since ninety years earlier, he still alive in the heart and mind of many people, especially those who live in Malabar Plantation. I guessed it was because of his kind and loving heart, and generosity, or maybe, as was told by Pak Upir, the caretaker of the tomb on the other day, because his last wish before he died was to stay forever in Malabar, the land he loved very much. It was a wish that had come true until today. Somewhere in 2002, while visiting the old Dutch cemetery in Bandung, I found a nearly abandoned tombstone overgrown with scrub and weed. I was unpleasantly surprised to find that it was the tombstone of Professor Charles Prosper Wolff Schoemaker, a prominent architect that I had for so long admired. Back then, as an architecture student, I was fascinated with all his works, particularly the ones in Bandung, a city where he had designed so many buildings before the World War Two broke out. Those buildings had become priceless heritages that helped Bandung find its identity as the city of Art Deco. Of all his works in Bandung that I have visited, I would say that Villa Isola was the most sophisticated one. Located higher than the city of Bandung, on the side of the road connecting Bandung with Lembang, the building was designed with strong Art Deco style as a private residence for a wealthy Eurasian man named Dominique Willem Berretty in 1930s. Not only did he design the building, but also the landscape. All were set harmoniously on a piece of land located in the northern part of the city. I came to see the building for the very first time in the year of 2000. Standing right in front of it, I was amazed by how Schoemaker perfectly combined the western modern technology with Javanese mythology. I would say that east meet west in Villa Isola. 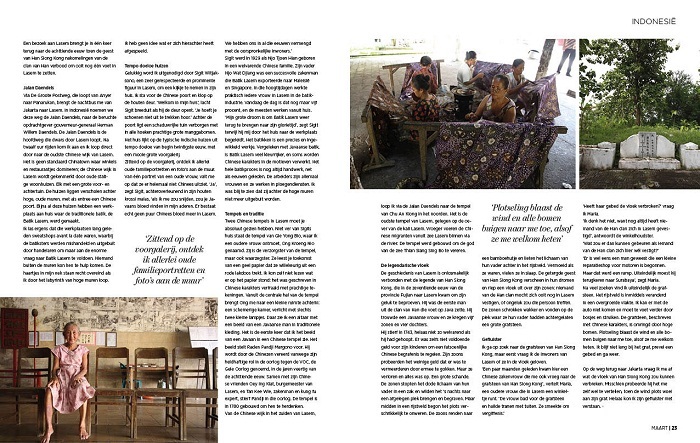 In the following year, I took a conservation class and made a small research on Schoemaker’s works in Indonesia. I learned that the professor had been very much inspired by ancient Hindu temples and shrines he had found in Java. He tried to apply the philosophy of the temples to his works. In many cases, he even put the head of Batara Kala, a deity figure from Hindu Mythology which could be found in every ancient Hindu temple in Java, at the entrance of his buildings. Java is a volcanic island where mountains become sacred subjects. In the past, when the island was dominated by Hindu kingdoms, all temples and shrines were built facing volcanic mountains nearby. They believed that the gods resided up in the summits. All those ancient temples can still be found in Central and East Java. In West Java, where Villa Isola was erected, there was no sacred mountains. However, Schoemaker insisted that the building built according to ancient Hindu philosophy. The only volcanic mountain in Bandung was Mount Tangkuban Perahu in the north, so he precisely put the building in an imaginary cosmic axis that spanned from south to north with the front façade facing the mountain. In the north side of the building, he designed a beautiful garden with fountains and a marble statue. All were beautifully put in one axis line. This was something else I learned about his works. He loved symmetrical. In the south side where the ground was lower than in the north, he created a bigger garden with a pond in the center. Standing at this south garden, I could look down far at the city of Bandung. In 2007, four years after graduating from college, I traveled to Bandung and intentionally revisited this magnificent building. This time I didn’t come for its architecture. I came for the story behind it. I sat on a stone bench on the park at the north side of the building and let my mind fly back far to one Sunday morning in March 1933 where the very first stone was laid in the beginning of the construction. It was a huge ceremony attended by many well respected figures like the mayor of Bandung, few members of Dutch East Indies parliament, the president director of Koninklijke Paketvaart Maatschappij, the director of Post Telegraaf en Telefoondienst, the army commanders, editor in chief of several magazines, the Italian consul in Batavia, the regent of Bandung, and many more. Their presence showed us how important Dominique Willem Berrety was. Born in Java from an Italian father and a Javanese mother in November 1890, Berretty became a successful entrepreneur at such a young age. 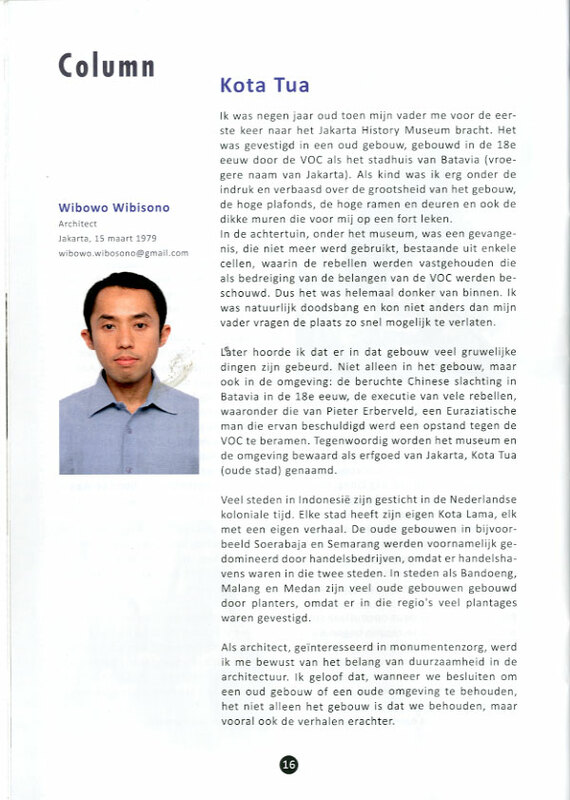 He started his early career as an employee at Post Telegraaf en Telefoondienst (Post Telegraph and Telephone Service) of Dutch East Indies where he learned a lot about telegraph, shortly after finishing his secondary school. As an ambitious young man, he pursued a more challenging career by working as an editor in some newspapers and ended up with Java Bode, a very popular daily newspaper published in the colony. He was so successful he was sent to several foreign countries for assignments before the World War One. The year of 1917 became the most crucial year in Berretty’s life as he got a loan to found a news agency which he named ANETA, an abbreviation for Algemeen Nieuws en Telegraaf Agentschap. This news agency would later made him both famous and notorious, and for sure, wealthy and a media tycoon. Known as an energetic man who focused mostly on wealth and power, Berrety spent about five hundred thousand guilders to build Villa Isola in 1933. It was such an enormous amount of money spent within the hard years of global great depression. Deploying about seven hundreds workers, the construction of Villa Isola took only about nine months until it was ready to be occupied. On one Saturday evening in December 1933, Berretty held a house warming party, and of course it was very festive and attended by well respected guests, including the brilliant architect, C.P.W. Schoemaker. At eight o’ clock that night, the guests were taken on tour around the interior of the house. They were impressed with how the architect work on the space. Every detail and ornament seemed to be carefully selected. It could be said that Villa Isola was few steps ahead for its time. It was modern, sophisticated, and yet built with local ancient philosophy. Rumor had it that Berretty was close to his downfall by the time he occupied the villa. Some people said that his news agency was under attack as it had irritated many journalists and politicians for its monopoly on news, including the Governor General Bonifacius Cornelis De Jong who saw him as a thread for the Dutch East Indies and suspected that he had been a spy for the Japan. Whether it was true or not, in the late of 1934, almost a year after he occupied the villa, Berretty flew to Europe to seek a solution for his financial problem. It was sad that he never had the chance to see his beautiful villa ever again. His plane was crashed in December that year near the border of Iraq and Syria. His body was then buried at a British cemetery in Baghdad. The mystery of his sudden death remains unsolved until today. The official news said that the plane was struck by thunder, buy many people didn’t buy it. They believed there was a conspiracy to eliminate this guy, and that accusation went to Governor General De Jong whose daughter was in a relationship with Berretty. Apparently, Berretty’s good looking and charming personalities had attracted many women. Within the year of 1918 – 1934, Berretty married six times and had four children out of those marriages. His secret affair with the governor general’s daughter had brought him to classified information that he would pass on to the Japanese who had been interested to seize the colony from the Dutch for its rich natural resources. 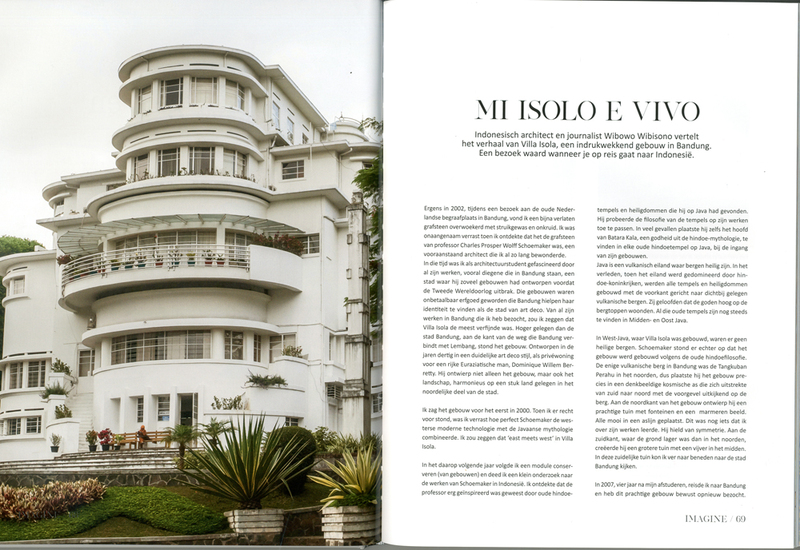 Suddenly, I woke up, back to my full consciousness, and found my self standing on the roof top of Villa Isola. There, miles away in the north I could see the majestic Mount Tangkuban Perahu. She hadn’t changed a little bit since Berretty came here for the first time. Then I turned around to the south where I could see the city of Bandung down there. She had changed a lot since the Dutch left its colony. I wondered if the tomb of Professor Schoemaker remained abandoned then. So I sped my car heading to the old Dutch cemetery in the city. Thanks to the increasing of awareness in preserving cultural heritages, the tomb of the professor was then in a much better condition. I stood for few minutes in front of it, said some prayers, and thanked him for his remarkable contributions to the city of Bandung. Before leaving the cemetery, I whispered a question whether or not the rumor about Berretty was true. I heard nothing but the sound of wind. May be I should have stopped wondering and left that a mystery. It was a mystery buried down under with Berretty, a man who once said “Mi isolo e vivo,” an Italian phrase for “I isolate myself and I am alive.” And that’s where the name of Villa Isola came from. I was nine years old when my father took me for the first time to Jakarta History Museum. It was located in an old builing built in the 18th century by VOC (Dutch East India Company) as the city hall of Batavia (former name of Jakarta). As a kid, I was very much impressed and amazed by the grandeur of the building, its high ceilings, huge tall windows and doors, and also the thick walls that to me, looked like a fort. The museum also had a prison at its backyard, which were no longer used, comprising few cells which were used to detain the rebels who were considered as threats to the interest of VOC. All the cells were located lower than the ground level outside. So it was completely dark inside. I was of course terrified and couldn’t help but asking my father to leave the place as soon as possible. I later learned that there were many horrified stories happen in that building in the past. Not only inside the building, but also in its surroundings. They witnessed the notorious Batavia’s Chinese Massacre in the 18th century, the execution of many rebels, including the one of Pieter Erberveld, a Eurasian man who was accused of plotting a rebellion against VOC. Today, the museum and its surrounding were conserved as a heritage of Jakarta, called Kota Tua (Old Town). Many cities in Indonesia were founded during the Dutch colonial time. Each city has its own old town which actually comes with its own story. The old buildings in Surabaya and Semarang for instance, were mostly dominated by trading companies as there were trading ports in those two cities. In cities like Bandung, Malang, and Medan, many old buildings were built by planters as there were many plantation established in those regions. 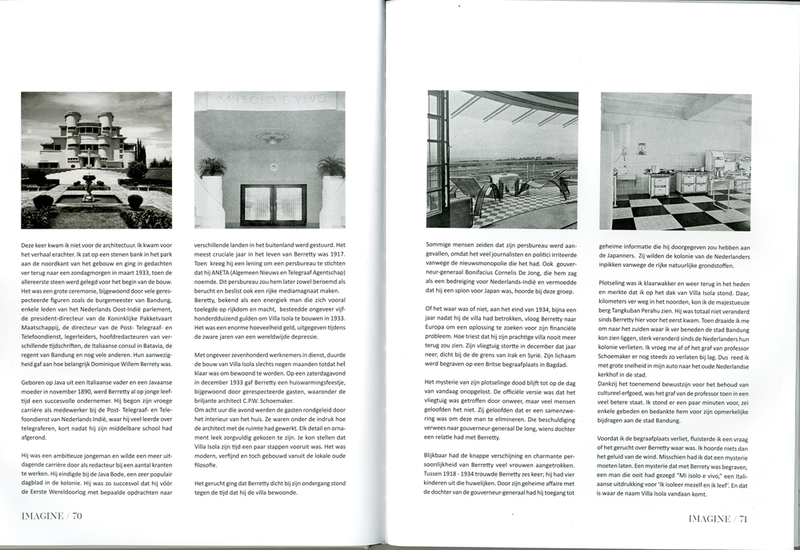 As an architect who was interested in conservation, I become aware of the importance of sustainability in architecture. I believe when we decide to conserve an old building or environment, it is not only the building that we conserve, but most importantly, the stories behind it. Of many old places in Java I have visited, Lasem, a small town located in the north coast of Central Java Province, is one of the most interesting for me. For generations, Chinese people have lived in this place, inter-racially married with the natives, and become well assimilated with the local way of life. Yet, they preserve their ancient beliefs and traditional Batik, the art of decorating cloth using wax and dye, rooted long way back from China. Exploring Lasem often means entering a time tunnel that will bring us back to the 18th century, to the time when the spirit of Han Siong Kong, the first Clan of Han coming to Java, cursed and condemned his children and their descendants, forbade them to stay in Lasem. Believe it or not, the town is forbidden for the Clan of Han until today. Somewhere in 2011, the night bus that carried me from Jakarta to Lasem took the route of the Great Post Road, or De Groote Postweg as the Dutch called it. It is a long road built in the early 19th century, spanning from Anyer in the west to Panarukan in the east. For Indonesian, the road is known as Jalan Daendels or Daendels Road, after Governor General Herman Willem Daendels who initiated the construction. At that time, the road brought positive impacts to the places it went through as it transformed many isolated villages into towns. Lasem is one of many towns passed by the road which now becomes the main road of the town. After taking twelve hours ride, I arrived in Lasem and went straight to its oldest quarter: the Chinatown. Not like typical Chinatown which is dominated by shops and restaurants, the one in Lasem is dominated by old houses. Each house has large yards at its front and back, and is hidden behind a high thick wall with a Chinese style gate at the entrance. Nearly all these houses have workshops where people make traditional Batik, known as Batik Lasem. 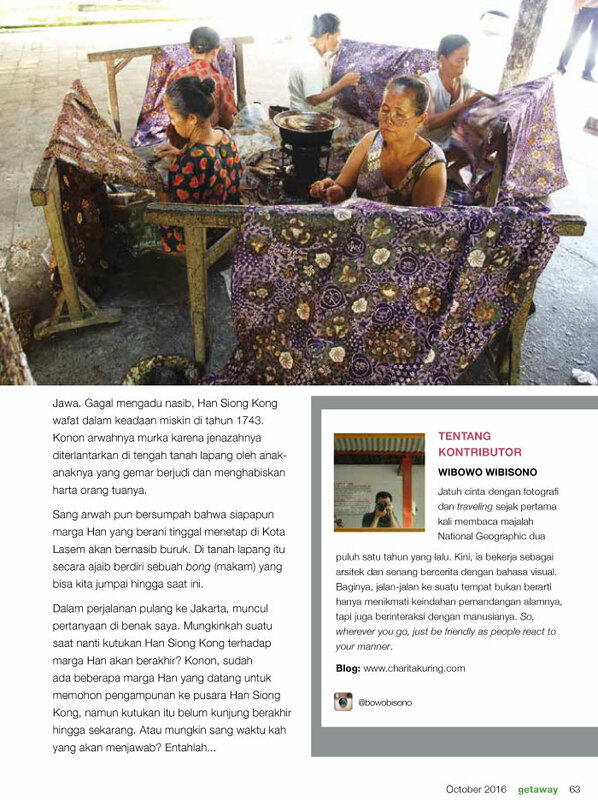 From a book I had read about Daendels Road, it was said that many years ago, the Chinese merchants living behind the walls abused and exploited their female labors to make batik as many as possible to meet the market demands. No one outside the walls could help. The hairs on my hands stood up as I wandered through the narrow street between the walls. I felt like walking in a labyrinth and had no ideas what happened behind those centuries old walls. To find out, I came to a house belonged to Sigit Witjaksono, a well respected Chinese man, and prominent figure in Lasem. I stood in front of the Chinese style gate and knocked on the wooden door, waiting for him to come out. “Welcome to my house. No need to take off your shoes, this is not a mosque”, said Sigit with a big friendly smile on his face. Soon as I walked through the Chinese gate, I found a shady large front yard with tall mango trees grown in every corner. The old house looks like typical Indische house, probably built in the early 20th century with a large porch in front of it. While sitting at the porch, I couldn’t help but noticing that there were so many old portraits and photographs on the wall. Most of those were of the ancestors and family members. There was one portrait of an old woman that to me, didn’t look like a Chinese. “If you sliced my hand you would find Javanese blood in my flesh”, Sigit conceded, leaning back in his wooden old chair. “There is no such thing as pure blood Chinese in Lasem. We have been for centuries assimilated with the natives”. 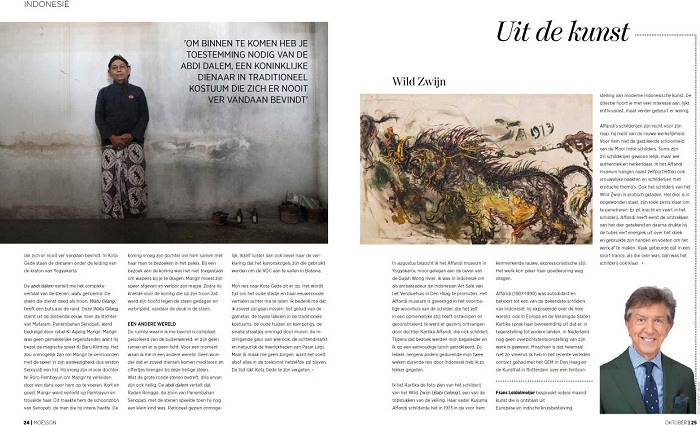 Born in 1929 from a wealthy Chinese family, Sigit was originally named Njo Tjoen Hian. His late father, Njo Wat Djiang, was a successful merchant, exporting Batik Lasem to Malaysia, and Singapore. In the heyday of Batik Lasem, nearly all native women in Lasem worked as labors in batik workshops. Today, it is estimated that only five percent of them work in that home industry. “I have a dream of bringing Batik Lasem back to its glorious days,” said Sigit while taking me to the backyard of the house to see the workshop. I was allowed to see the process of making Batik. I would say that it was a very intricate work. First, they manually drew the motif with a pencil on a white fabric, and then put hot liquid wax on the motif so as to define it. After that, the fabric had to go through several dying processes. Comparing to Javanese Batik in common, Batik Lasem is much more colorful, sometimes with some ancient Chinese letters put between the motifs. The whole process were done manually, just like the way it had been for many centuries. The labors, all were women, worked in shift. I was glad that there was no more exploitation and abuse behind the high walls of Chinatown. There are two Chinese temples in Lasem that every traveler should see. Not far from Sigit’s house, there was the Temple of Gie Yong Bio where I met an old Chinese woman named Ong Kroeng Nio, the caretaker who was also a fortune teller. She would read someone’s fate through a yellow paper randomly picked from a wooden red box. I couldn’t read the paper as it was written with ancient Chinese letters and some drawings. From the main hall of the temple, Ong brought me to a sacred chamber at the back of the temple. It was a small dark chamber illuminated only by two small lamps. There I found an altar with a figure of Javanese man wearing traditional costume on it. For the very first time in my life, I saw a non Chinese figure put inside a Chinese temple. The man, named Raden Pandji Margono, was worshipped by the Chinese for his valor in fighting the VOC (Dutch East India Company) during the Yellow War. It was a war in Java between the Chinese and the Dutch in 1740s. Together with his Chinese friends, Oey Ing Kiat, the mayor of Lasem, and Tan Kee Wie, a merchant and kung fu fighter, Pandji was killed in that war. The temple was built in 1780 to honor them. From Chinatown in the south, I walked across the Daendels Road to the temple of Chu An Kiong in the north. It is the oldest temple in Lasem, situated right on the side of Lasem River. In the past, Chinese migrants came from Java See and entered the town through the river. Traditionally, they would build a temple to worship the god of the sea, Thian Siang Sing Bo, who became the host of the temple. The history of Lasem is strongly related with the coming of Han Siong Kong in the 17th century from the Province of Fujian, China. 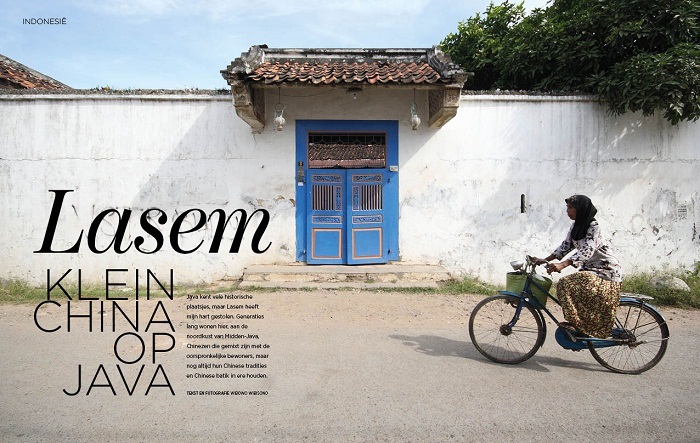 He came to Lasem to try his fortune and became the first man from the clan of Han in Java. He married a local Javanese woman who gave births to five sons and four daughters. His attempt to make a fortune was not so successful until he passed away in 1743. He didn't leave enough money for his children to hold a proper funeral. In old Chinese tradition, a funeral would indicate someone's hierarchy in society, and it took a lot of money to hold it properly. The sons, felt obliged to hold a proper funeral for their father, tried to multiple the little money their father had left in a gambling house. Sadly, they lost all the money in the gambling and that would mean no proper funeral. This was something embarrassing for the family. Shy away from holding a poor funeral, the sons decided to wrap their father's body with a sack, and secretly brought it to a remote place in the middle of the night. While they were passing a vast rice field, there was a thunderstorm coming in sudden. They ran to take shelter toward a bamboo hut, and put their father's body in the middle of the field. Aparently, they didn't have any respect for their father. Getting exhausted from carrying the body, all the sons of Han Siong Kong fell asleep at the bamboo hut. The displeased spirit of Han Siong Kong came to their dreams and cast a curse on his descendants. No one from clan of Han was allowed to settle in Lasem. Any ignorance to his curse would mean a bad luck. All the sons suddenly woke up as they heard a thunder strike the rice field. They ran toward their father's body and found a huge tombstone right on the ground where they put their father's body in a sack. On my second visit to Lasem in 2012, I tried to find the tombstone located deep in a village, far from the main road of Lasem. But before I started my quest, I came to interview some local Chinese just to find out about the curse. “Did her prayer break the curse?” I asked. “I don't think so. Maybe not yet. No one from the clan of Han come to settle here in Lasem.” She replied. “What would happen if there were someone from the clan dared to settle here?” I was curious. “Well, as far as I know there was one man from the clan of Han settled here in 1980s. He ran a small motorcycle repair shop. 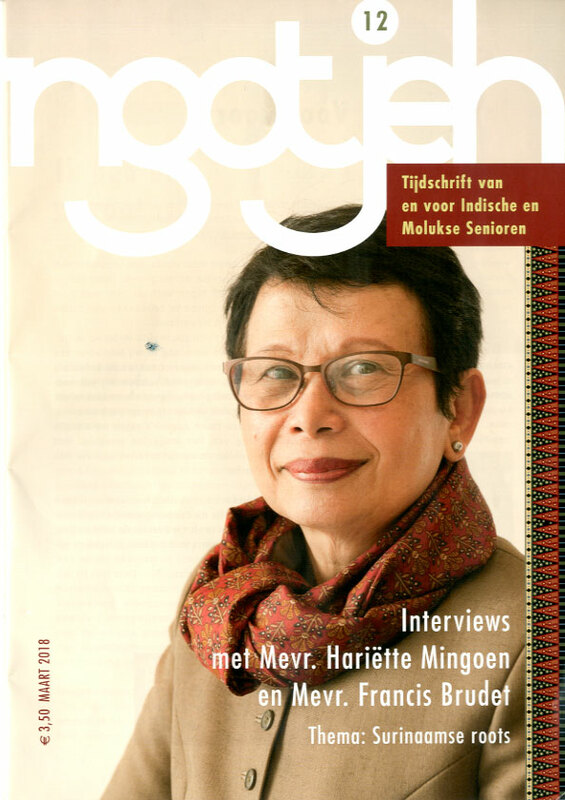 He never succeeded and had to move out to Surabaya,” said Maria. I was finally able to find the tombstone. The vast rice field had been turned into overgrown land. I couldn't reach the tomb by car, I had to walk through bushes and scrubs. The tombstone, adorned with ancient Chinese letters was surrounded by tall trees. It was kind of dramatic when suddenly the wind blew, swinging the tall trees as if to welcome me. I didn't stay long at the grave, and soon left after whispering a prayer. On my way back to Jakarta, I wondered what could possibly break the curse of Han Siong Kong. Maybe Han Siong Kong tried to tell me through the wind that had suddenly blown at his grave. Well, too bad, I didn't hear his whisper. Muslims all around the globe celebrate the Islamic New Year on the first day of Muharram, the first month in Islamic lunar calendar. It commemorates the migration of Prophet Muhammad and his followers from Mecca to Medina in 622 AD. Many celebrations and rituals are held during the occasion. In Indonesia, a country with huge Muslim population, the rituals are varied from one place to another. In its island of Java, where the practice of Islam is sometimes intertwined with the teaching of ancient beliefs, some people come to sacred old places in the hope for blessings and fortunes. Like in Kotagede, a historic district in the province of Yogyakarta, also the ancient capital of the Kingdom of Islamic Mataram, people come to the ancient royal cemetery around the site where somewhere between sixteenth and seventeenth century, the sultan’s palace was standing. The palace has long gone, but surprisingly, its spirit remains alive until today. Two days before the Islamic New Year, I arrived in Kotagede after taking one hour flight from Jakarta to Yogyakarta to witness the rituals. I stayed at a hotel which according to google maps, was only twenty minutes walk to the ancient capital. In the afternoon, I walked to the historic site of the palace complex where there were still standing the royal grand mosque, the royal cemetery, and the royal bath. It only took about fifteen minutes walking through kampongs which was such an enjoyable experience as I could greet the locals along the way. Wandering in the royal complex of Kotagede often means walking between the walls. The city seemed to be built within layers of fortresses. Despite the fact that Mataram was an Islamic kingdom, the architecture was still very much influenced by Hindu, a predominant religion in Java for many centuries before the coming of Islam in the fourteenth century. The Kingdom was divided by the Dutch in the eighteenth century into two; Yogyakarta and Surakarta. Later in the nineteenth century, each of those was restructured by the British. So today there are two kingdoms, each with one duchy. Coming to Kotagede is like tracing back the glorious day of the Islamic Kingdom of Mataram. The former royal complex is today surrounded by kampongs. Exploring Kotagede also means exploring the kampongs. In every kampong I came to, I always found a modest community hall. It’s more like a Pendopo, a semi open single building covered with traditional Javanese style roof of Joglo. In one Pendopo, I found a group of women sitting on the floor, playing sets of Gamelan, the traditional Javanese instruments. They were rehearsing for a performance held in the next few days. The sounds of gamelan was like magical. It evoked the spirit of the past and brought us back to the old days. Another kampong I came to was Kampung Alun Alun, named after the old main square in front of the palace where the kampong is situated today. What is so special about this kampong is the alley bisecting rows of Javanese style wooden houses, built in the mid nineteenth century, as it used to be the inner court of those houses. Of all the kampongs in Kotagede, this one is the most tourist friendly. Well, it doesn’t mean we can enter all those old traditional houses. The only house open is the one located right across the community hall. Many tourists will stop by at this house and look around inside it. The community hall itself functions as a library with old photographs hanged on its wall. Not far rom the kampongs, there is Pasar Legi, a traditional market which has existed since the sixteenth century. In the past, it only opened on Legi, one of the five market days in Javanese calendar. It is certain that wherever you go in Indonesia, you will find traditional market that becomes the centre of people’s activity, mostly in the morning. In Pasar Legi, you can find many sorts of delights like traditional cakes and foods that can hardly be found in the cities. Since there are no fancy supermarket or hypermarket nearby, people still count on the traditional market for shopping groceries. Finally, the night I had been looking forward to came. It’s the Islamic New Year’s Eve. The celebration took place in the former royal complex, and there were two different groups of people coming to this place. One group went to the royal grand mosque for a reading of Al-Quran (Islam’s holy book), followed with a sermon given by an Ustadz (Islamic scholar) from Muhammadiyah. The other group came to the royal cemetery, located right behind the mosque, for a ritual called “Tirakat,” which is actually like meditation. First they burned the incenses, put some offerings like flowers or fruits, and then sit with their legs crossed. They would fast with no food and water, stay awake and keep silent for the entire ritual which in this occasion, would take overnight. These people come with different intentions and wishes. Many of them are desperate from year long illnesses, financial troubles, and perhaps romances. They could spend hours sitting in the dark in front of the old cemetery. Contrast with the cemetery, the lights at the grand mosque was bright and the ambience was festive as to welcome the coming of the new year. These people I saw at the mosque didn’t stay overnight. They considered the ritual of “Tirakat” as not Islamic. Soon as the sermon was over, they left the mosque and returned to their homes. So that night, I saw two different ways of celebrating Islamic new year in Kotagede, the traditional Javanese way, and, let’s say, the more Islamic way. The house, located between two huge banyan trees, is always locked. To get inside, we need to obtain permission from an Abdi Dalem, the royal servant wearing traditional custom, stationed not far from the house. 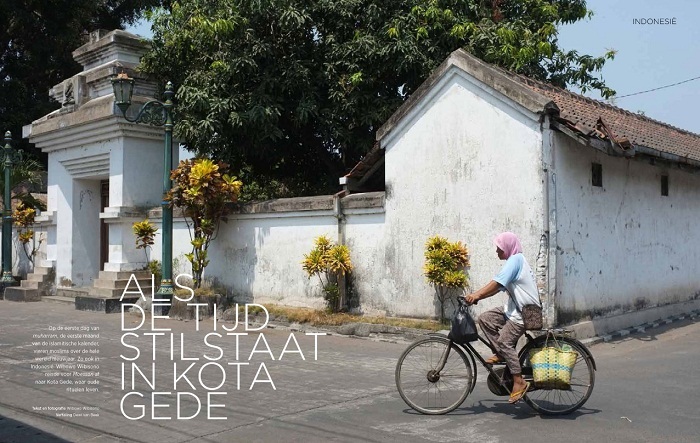 In Kotagede, the servants actually work under the control of Sultan Palace (Kraton) of Yogyakarta. The Abdi Dalem will guide us to the house and tell the whole complete history of those stones, or watu as the locals call them. The stone which used to be the throne, known as Watu Gilang, has an indentation on its edge. From that thing, we can go back far to the sixteenth century, when the Kingdom of Mataram was ruled by Panembahan Senopati, who was also the founder of the kingdom. Senopati was threatened by a man named Ki Ageng Mangir, a rebel who could overthrow him from the power. Mangir was not an easy man to conquer as he had a magic weapon like spear named Ki Baru Klinting. It would be impossible to kill Mangir with that spear around him. By the way, it was common for Javanese to name their weapons, especially the sacred ones. Sitting inside the house made me feel like completely isolated from the outside world as there was no light and window in it, and the space was cramped. For a moment, I felt like disconnected with the present world. No wonder if some people come to this place to meditate in front of the stone. Since it is sacred, people put offerings like flowers on top of it. As for the stones shaped like bowling ball, there are three of them which were also sacred. The servant said that those balls used to be played by Raden Ronggo, the son of Panembahan Senopati, when he was a little kid. Rationally, it would be way too impossible for a little kid to play with such heavy balls like those. I would rather listen to much more sensible version which said that those were actually canon balls used to attack the VOC (United Dutch East Indies Companies) in Batavia in the seventeenth century. My trip to Kotagede was soon over. It’s time for me to leave the old town with all its ancient stories behind. I was thinking that I was going to miss the sound of gamelan, the loyal royal servants wearing the traditional costumes, the old houses and kampongs, the narrow streets between the walls, the horrible scent of the incences, the market in the morning, and of course the delights I found in the market of Pasar Legi. But I shouldn’t worry because everything would likely stay the same in the next future as time seemed to freeze in Kotagede. Pada masa kolonial Belanda, Medan pernah berjaya berkat hasil perkebunannya yang merajai pasar Eropa. Masa kejayaan perkebunan dengan tenaga kerja dari berbagai suku bangsa itu kini telah memudar, meninggalkan warisan berharga berupa keragaman budaya dan agama. Seorang perempuan/pria keturunan Tionghoa melakukan ritual sembahyang pada malam pergantian tahun kalender Imlek. Sejak pertengahan abad ke-19, ribuan etnis Tionghoa didatangkan ke perkebunan di wilayah Sumatera Timur. Sebagian besar berasal dari Pulau Pinang yang kini populer dengan sebutan Penang, Malaysia. Berdiri sejak awal dekade 1960-an, Kelenteng Tong Yuk Kuang atau Wihara Gunung Timur merupakan Kelenteng Tao terbesar di Sumatera. Terletak di tepi Sungai Babura, kelenteng ini selalu ramai dikunjungi warga keturunan Tionghoa terutama saat perayaan hari besar seperti Tahun Baru Imlek dan Cap Go Meh. Berwaktu tempuh sekitar 2,5 jam dari Medan, tepatnya di Desa Dolat Rayat, Berastagi, terdapat tempat peribadatan bagi umat Buddha yang dibuka untuk umum pada 2010. Dikenal dengan nama Taman Alam Lumbini, tempat peribadatan ini terdiri atas bangunan stupa berlapis emas dan dikelilingi taman seluas 3 hektare. Bentuknya yang menyerupai Pagoda Shwedagon di Myanmar menarik banyak wisatawan dari berbagai golongan suku dan agama untuk berkunjung. Masjid Raya Medan atau Masjid Raya Al Mashun merupakan salah satu simbol keharmonisan antar-umat beragama di Kota Medan. 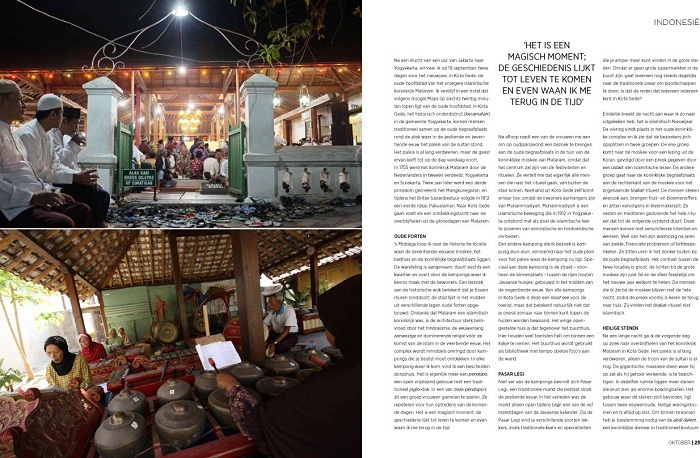 Berdiri sejak 1909, masjid ini semula didesain oleh arsitek berkebangsaan Belanda bernama Theodoor van Erp yang kemudian digantikan oleh JA Tingdeman. Pembangunannya sendiri menelan biaya sebesar 1 juta gulden yang sebagian besar ditanggung oleh Sultan Ma’mun Al Rasyid Perkasa Alam selaku penguasa Kesultanan Deli saat itu dengan donasi dari Tjong A Fie, pengusaha dermawan terkenal di Medan. “Di masjid ini, Anda bisa menemukan simbol Bintang Daud dan makam perempuan Belanda,” kata Ali Imran, salah seorang pengurus utama Masjid Raya Al Mashun, Medan. Simbol yang ia maksud terlukis di langit-langit masjid berupa gambar hiasan berbentuk geometris. Sementara itu, makam yang dimaksud adalah milik Catharina Johanna Cornelia Haberham Sunkar, istri dari Datuk Sjarifoel Azaz, kerabat dari salah seorang Sultan Deli. Selama puluhan tahun, pengurus masjid yang akrab disapa Pak Ali itu menjadi pemandu bagi para wisatawan, baik lokal maupun mancanegara, yang berkunjung ke Masjid Raya. Hingga sekarang, Masjid Raya terbuka bagi siapa saja yang ingin mengetahui sejarah dan kemegahan bangunan berusia hampir 108 tahun ini. Berdiri sejak 1891, Istana Maimun menjadi salah satu ikon di Medan. Bangunan yang memadukan gaya arsitektur Moor, Melayu, dan Eropa ini menjadi bukti era kejayaan Kesultanan Melayu Deli pada masa lampau, ketika Sultan memberikan konsesi berupa tanah kepada para pengusaha perkebunan di wilayah Sumatera Timur. Hampir seluruh bangunan istana didominasi warna kuning, warna kebesaran kerajaan Melayu. Di tempat ini, wisatawan bisa merasakan duduk di singgasana sambil mengenakan pakaian kebesaran Kesultanan Melayu Deli. Berkembangnya usaha perkebunan di Sumatera Timur melahirkan konglomerasi baru. Salah satunya, Tjong A Fie, pengusaha etnis Tionghoa yang terkenal karena kedermawanannya. Kontribusinya terhadap pembangunan Kota Medan begitu besar tanpa memandang perbedaan suku, agama, ras, dan golongan. Dengan mengunjungi bekas tempat tinggalnya yang mewah di daerah Kesawan, wisatawan dapat menelusuri kedermawanan sang taipan, mulai dari pembangunan infrastruktur seperti jalan, jembatan, hingga sekolah dan rumah peribadatan. Di bawah diorama pernikahan Shri Laksmi, seorang perempuan keturunan Tamil duduk sambil menunggu dibukanya pintu Kuil Shri Mariamman. Inilah kuil Hindu tertua di Kota Medan yang berdiri sejak 1881. Setiap harinya, kuil ini buka pukul 06.00–12.00 WIB dan 16.00–20.00 WIB. Wisatawan dapat masuk ke dalam kuil ini dengan syarat melepas alas kaki dan menjaga ketenangan. Sambil memejamkan kedua mata, seorang perempuan keturunan Tamil larut dalam doa di hadapan tujuh figur dewa. Selama lebih dari satu abad, masyarakat etnis Tamil menetap di Kota Medan. Umumnya mereka tinggal di daerah Kampung Madras. Hingga kini, mereka masih menjalani ritual keagamaan Hindu yang diturunkan dari generasi ke generasi. Salah satu ritual yang sering dilakukan masyarakat Hindu Tamil di Kuil Shri Mariamman adalah berjalan berputar searah jarum jam mengelilingi tujuh figur dewa, seperti yang sedang dilakukan keluarga ini. Sang ayah membawa sebotol minyak yang konon merupakan simbol dari sisi negatif manusia. Nantinya, minyak tersebut akan dituang ke dalam wadah dengan lilin di atasnya. Api pada lilin melambangkan ilmu pengetahuan yang akan membakar habis sumbu (simbol ego) dan minyak (sisi negatif) tersebut. Di bekas kediaman Tjong A Fie, terdapat empat ruangan penerima tamu. Masing-masing diperuntukkan bagi tamu penting dari golongan etnis Melayu, Tionghoa, Eropa, dan umum lainnya. Khusus untuk etnis Melayu, ruang tamunya dihiasi dengan ornamen warna kuning, yang tidak lain adalah warna kebesaran Kesultanan Melayu. Selain tenaga kerja dari luar Hindia Belanda, para pengusaha perkebunan di Sumatera Timur mendatangkan pekerja dari Jawa. Hingga kini, masyarakat keturunan Jawa menyebar di beberapa wilayah Kota Medan hingga ke Berastagi. Di Berastagi terdapat beberapa keturunan Jawa yang membuka usaha rumah makan khas Jawa dan beberapa lainnya berjualan buah di Pasar Buah Berastagi.